Rice University scientists working to develop a deeper understanding of the world’s most widely used man-made material, concrete, have detailed previously unexplored aspects that affect the energy required to make it and the greenhouse gases released. The Rice laboratory of materials scientist Rouzbeh Shahsavari developed techniques to not only analyze but also see dislocations in dicalcium silicates (aka belite), a component of Portland cement, and detailed how each of five distinct types contributes to concrete’s ease of manufacture and ultimate strength. The lab’s report appears this month in Cement and Concrete Research. “Though belite is crystalline in nature, the crystals are so small and the material so amorphous that nobody has looked at them with the kind of analytical eye they deserve,” Shahsavari said. But fine-tuning them for use in the cement that holds concrete together can help save energy, which in turn leads to a reduction in carbon emissions, he said. Calcium silicates are a key ingredient in industrial clinkers, which are ground and mixed with water to make cement. Compared with tricalcium silicate, the more dominant ingredient in cement, belite can be produced at a much lower temperature. This temperature is at least 100 degrees Celsius (212 degrees Fahrenheit) lower and makes belite an economical trade; however, it is harder to grind and reacts more slowly with water, which leads to delayed strength development in cement paste. Shahsavari said these issues have curbed the widespread use of belite-based cement in concrete, but his lab has adopted an approach that could bring change. Belite crystals of calcium, silicon and oxygen mainly take one of two different forms, either monoclinic or orthorhombic, each of which behaves differently at the atomic level. 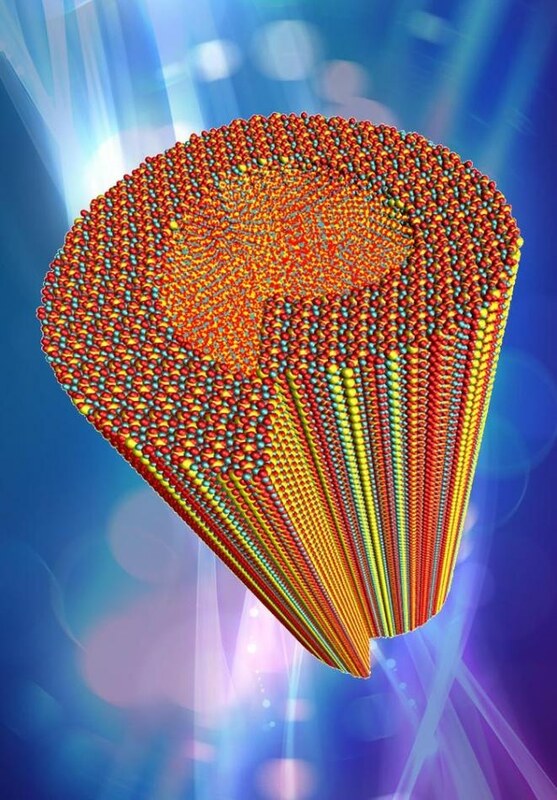 Rice researchers subdivided those into five distinct polymorphic crystals. Through computer simulations and high-resolution electron microscopy, they determined one of the monoclinic forms, dubbed beta-C2S, is the most brittle and possibly the best-suited for cements requiring low-energy manufacture. Co-authors of the paper are Rice alumna Lu Chen, now a structural engineer at Arup, and graduate student Lei Tao. The National Science Foundation supported the research. Supercomputers utilized in the research included the NSF-supported DAVinCI supercomputer, administered by Rice’s Center for Research Computing and procured in a partnership with Rice’s Ken Kennedy Institute for Information Technology, and resources supported by the National Institutes of Health, IBM, Cisco, Qlogic and Adaptive Computing.